Cord-On-Board Case Solves Charging Issue Simply | OhGizmo! 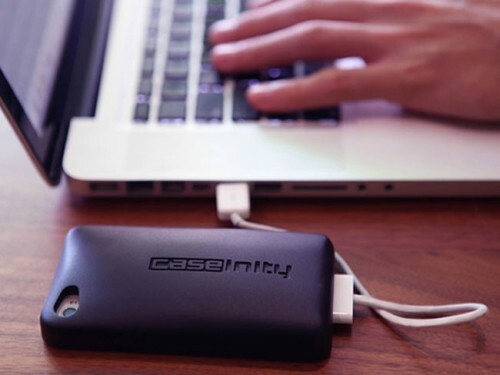 If you don’t mind adding a little bulk to your iPhone, the Cord-On-Board case from CaseInity could make it much easier to get through the day without running out of juice. 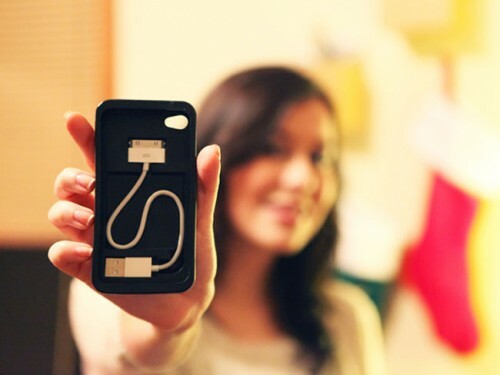 It simply features a specially modified charging cord that snaps right into the case. It’s all out of sight until you need it. Of course, you’re going to need an actual USB port as there’s no room to carry the little square transformer but there are computers everywhere these days, so you’ll be fine. Just ask yourself: when was the last time you carried your charging cable everywhere with you? (Ok, mister backpack, we don’t mean you…) At $25 on pre-order on Kickstarter, the Cord-On-Board case looks simple and useful. But it’ll only be made if CaseInity reaches their $20,000 funding goal. And it’s for iPhone 4 and 4S only. This will sell among a lot of my friends and peers. We’re often at computers but lacking an iPhone cord. Awesome innovation!